Silhouette Studio Business Edition allows you to cut with or connect multiple Silhouette machines at the same time. 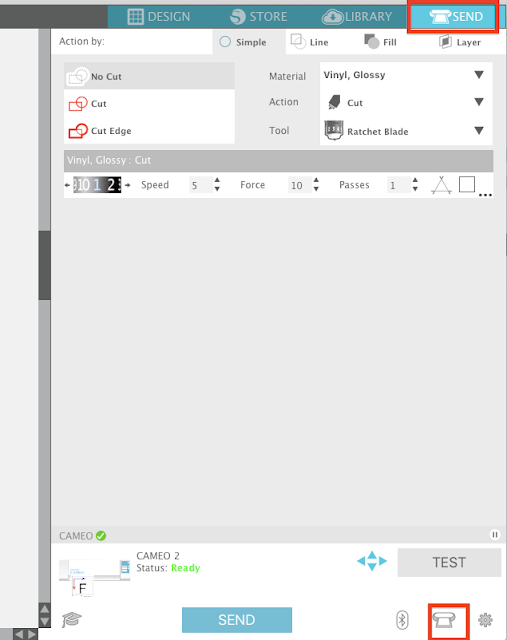 BUT...it's not super obvious where to select the machine with which you want to cut in Silhouette Studio V4. Whether you want to cut with multiple machines at the same time or just have multiple machines connected - you'll need to decide which machine you're cutting with. 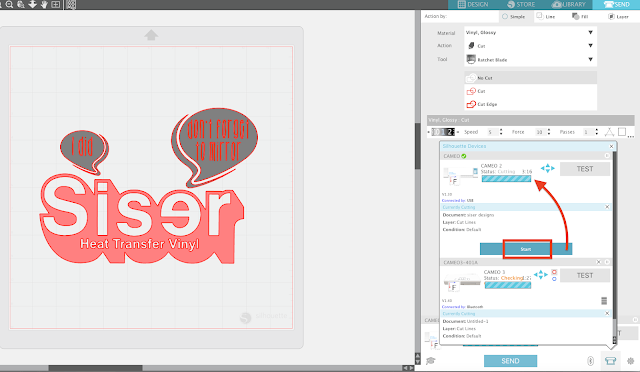 In Silhouette Studio V4 the place where you select the cutter to cut with has changed. Once you have your work area set up and you're ready to cut, open the Send panel. At the very bottom click the icon that looks like a Silhouette Portrait machine. 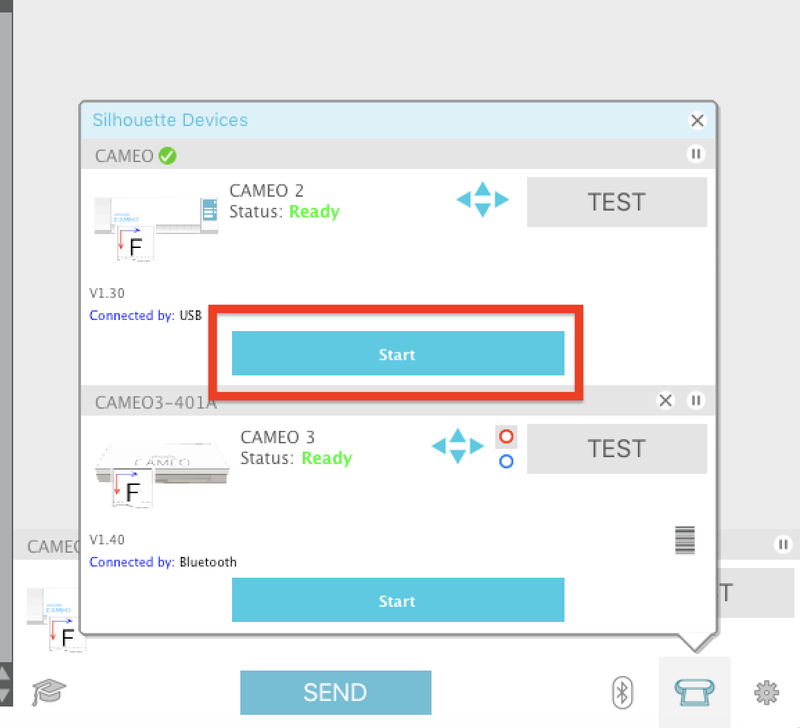 You'll only have this option if you have Silhouette Studio Business Edition which allows you to cut with multiple machines. 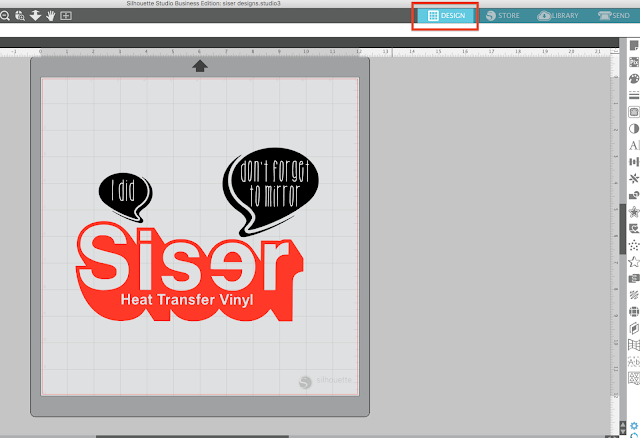 When you have multiple Silhouette cutting machines hooked up, they'll be listed in the window that pops up. Select the machine you want to cut on by clicking "Start" under that machine's name. The design in the current work area will be cut on that machine. Option 1: To cut the same design that's in the existing work area on a second machine - stay in the Send panel and click "Start" on another machine. 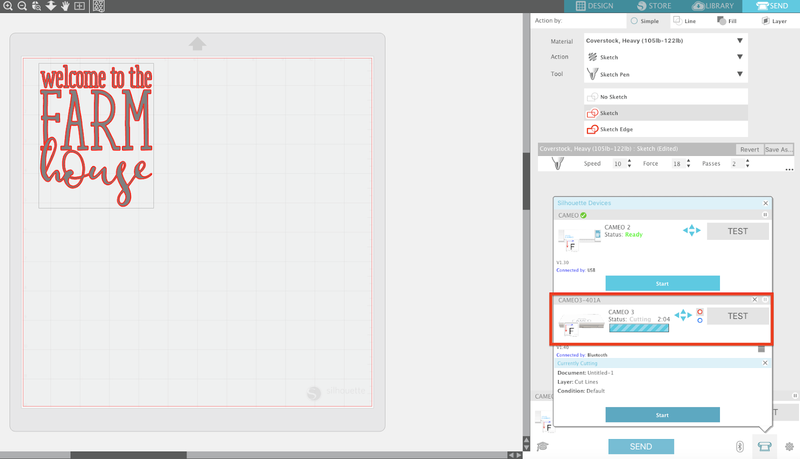 Option 2: To cut a different design on the second machine, go back into the Design area and open a different work area. Return to the Send panel and select another machine to begin cutting. 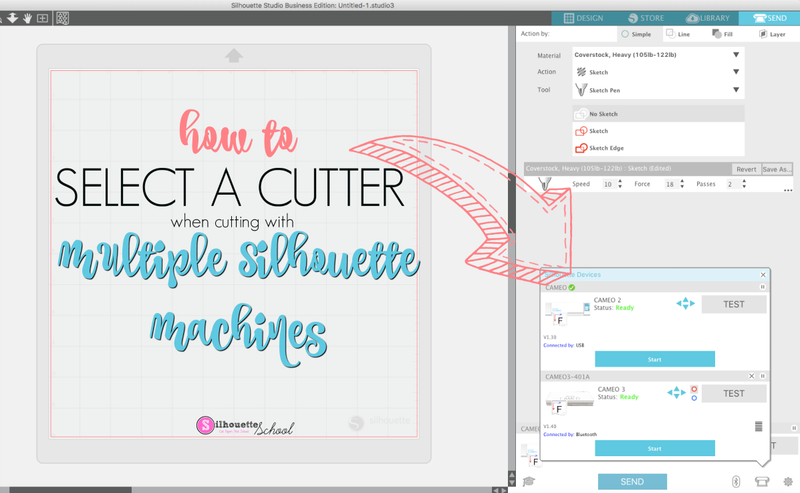 That's all there is to selecting the Silhouette cutter you wish to cut with when multiple machines are connected.